HOUSTON (KTRK) -- Authorities have temporarily doubled the cash reward for information leading to the arrest of a man who's been on Texas 10 Most Wanted Fugitives list for a year and half. Israel Aguirre, 33, is wanted for murder in connection with a 2002 homicide in Kaufman County. In 2002, Aguirre was deported before going to trial. He was arrested again in the United States in 2005 and made several court appearances related to the murder charge but then absconded. 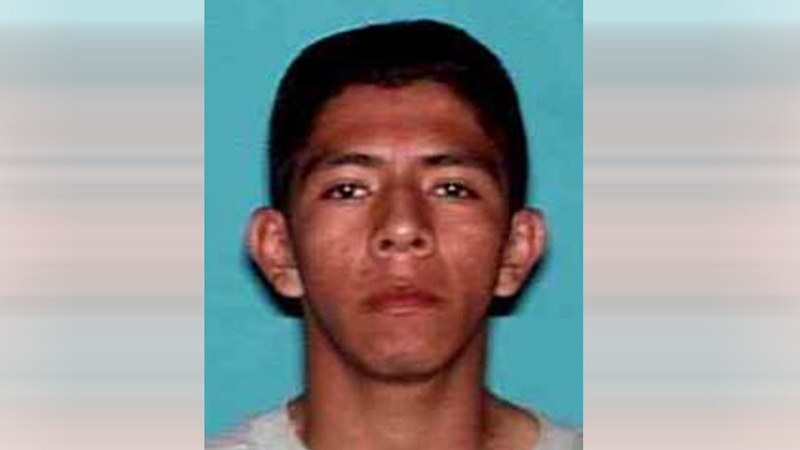 Authorities added him to the Most Wanted list in July 2014, and he is still on the run. Now, Crime Stoppers is offering up to a $10,000 cash reward to anyone who helps them capture Aguirre if that person places in a tip during the month of March. Aguirre has ties to the Dallas area, and his criminal history includes theft, prostitution and murder. He is 5 feet 8 inches tall and weighs approximately 130 pounds. He has tattoos on his chest and left arm. He also may go by the aliases Israel Aguirre Jaimez, Israel Aguirre-Jaimez, or Israel Jaimez Carmona. Anyone with information is asked to call the Crime Stoppers hotline at 1-800-252-TIPS (8477).